Built-in 1800 mAh rechargeable Polymer Lithium battery . 11 hours music playing time . 15 hours lighting time with low brightness, 7 hours lighting time with high brightness. This is our 2015 new model : Portable music mini bluetooth speaker with led light and alarm clock function for mobile. It's 6 in 1: Bluetooth speaker+ led light+hands free call/answer + TF card+ clock+ alarm. The romantic led light with the soothing music can offer you excellent music experience and comfortable atmosphere. You can adjust the brightness of the led bulb as you like. And you can set the alarm and clock. The sleep light function: The led light will turn off automatically after 20 minutes in sleep mode. We have our patent certificate for this music mini bluetooth speaker . We will take this music mini led light bluetooth speaker to attend the cebit fair in German on 15th,March,2015 and the HK fair on 14th,April,2015. It will be hot soon! What's more,we have our own design and research department. We have strong advantage at the quality of products,the model and the price. You can adjust the brightness with the led bulb button or just tap the top of the led light alarm clock music mini bluetooth speaker. The alarm clock can wake you up with the song you like. You just need to insert the TF card and set the alarm clock . 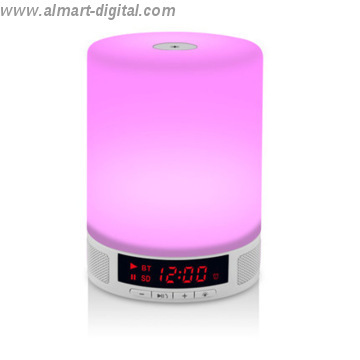 The led light alarm clock music mini bluetooth speaker can give you romantic feeling. 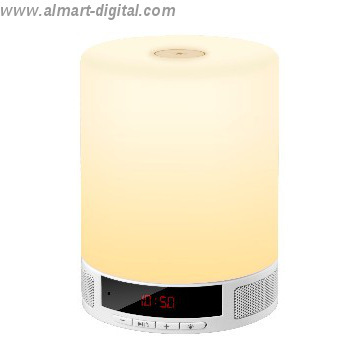 The sleep mode for the led light alarm clock music mini bluetooth speaker. The led bulb will turn off automatically after 20 minutes in sleep mode. Digital display for the volume of the song for the music mini bluetooth speaker led light. When you adjust the volume,the screen will display the number from "00" to "31". "31" is the largest volume. 5. We offer OEM/ODM services. Can print your logo on product, can customize the packing, and make the function as your requests. 1.Payment Term: T/T, 30% deposit, the balance will be paid before shipping. 2.Sample is available within 3 days. Sample fee Can be refund after the order (OVER MOQ) placed and deposit received. 4.Lead Time: Neutral Product 5-10 days after deposit confirmed, Samples normally can be arranged within 3 days. 5.Final price are subject to both confirmation. From Shenzhen China to your country by sea. And then we might have to do any appropriate strategies depending on your situation. Shenzhen Allmart Electronic Co.,Ltd is one of the premier providers of computer peripheral products in China.• 1996, Almart Electronic Co., Ltd. was established in Shenzhen, China, marketing varied consuming electronics in the brand of FuJing.• 2003, Almart set up a new plant and started to manufacture electronic products iincluding mice, keyboards, PC cameras, speakers, tablet PCs and other digital peripherals.• 2005, Almart opened the first proprietary branch in Dubai, Saudi Arabic. • 2005, Almart became a permanent supplier of Wal-Mart. Currently, FuJing brand products are sold in more than 380 Wal-Mart supermarkets and Trust-Mart stores in China.• 2009, Almart became the first listed IT core agent in domestic of LeiBai company, whose products are also sold in Wal-Mart, Trust-Mart, Vanguard and Lotus Mall. • 2010, Almart set up an new e-commerce store in the United State, to develop the North American market. The website of our e-commerce store is www.gorillagadgets.com.• Until 2013, Almart has served more than 10 million customers in China, and provides services for numerous world famous brands, such as Wal-mart, MERCURY (USA), CYBER (Brazil), MYMAX (Brazil), DENN (Russia), DDZONE (South Korea), TG (South Korea), etc. We earn customer respect and loyalty by consistently providing high quality and valuable products. We will continuously develop useful, fashionable and innovative products and deliver valuable services to our valuable customers.  Factory Info: Shenzhen Allmart Electronics Co., Ltd.
Our factory, located in Shenzhen, China, was established in 2003 and started to manufacture FuJing electronic products in house. since 2013,we are major in smart touch lamp bluetooth speaker and ceiling lamp speaker,OEM&ODM are much welcomed.